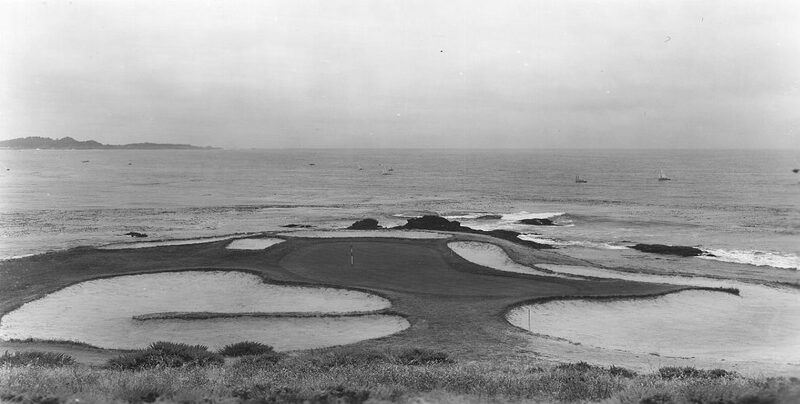 Pebble Beach Golf Links was just a year old when esteemed architect William Herbert Fowler recommended that the petite par-3 7th hole was unfit for championship play. Fowler had better ideas — such as adding nearly 200 yards to the 18th hole, transforming it from a short par-4 into the dramatic par-5 you play today — but thankfully, the original routing at No. 7 stuck. 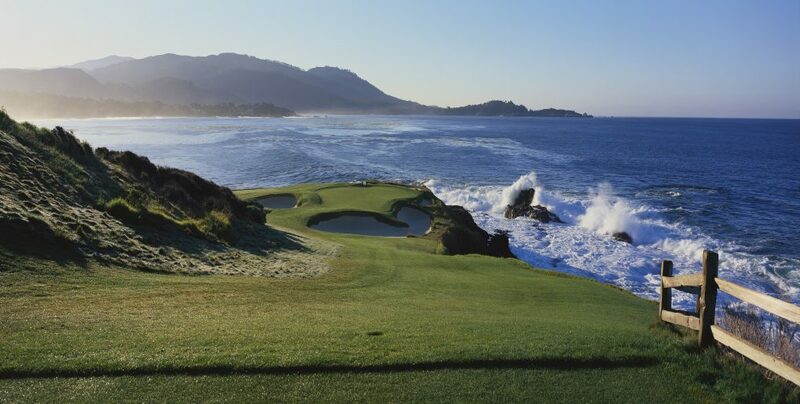 The beloved par-3 is the shortest on the PGA TOUR at just 106 yards, and played as little as 92 yards during the 2010 U.S. Open. 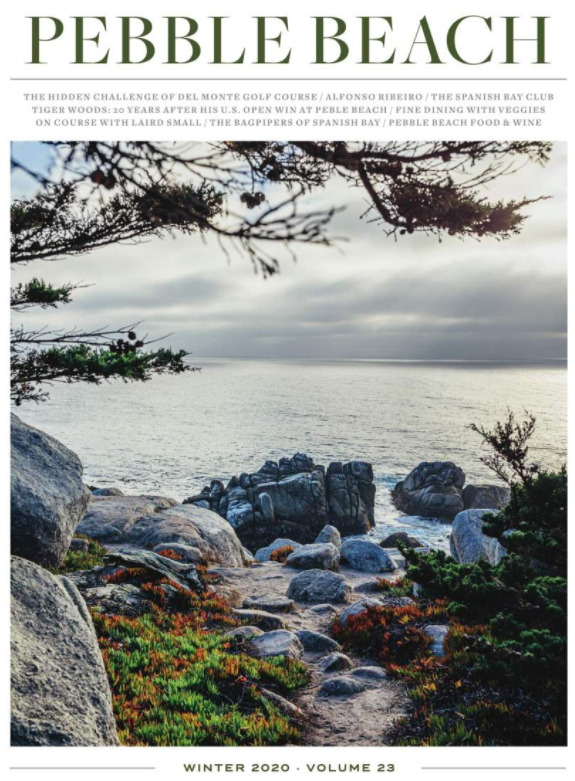 But Pebble Beach co-designer Jack Neville recognized what a special hole No. 7 could be before it even opened. The wind at No. 7 is legendary. Sam Snead chose to putt off the seventh tee rather than send a tee shot into the teeth of a wicked wind. (It was reported that he was the only player to make par on the hole that day.) Bel-Air pro Eddie Merrins actually aced the hole during the Bing Crosby, but needed a 3-iron to do so. Eventual champ Tom Kite famously chipped in for birdie during the final round of the 1992 U.S. Open after his 6-iron missed the green. 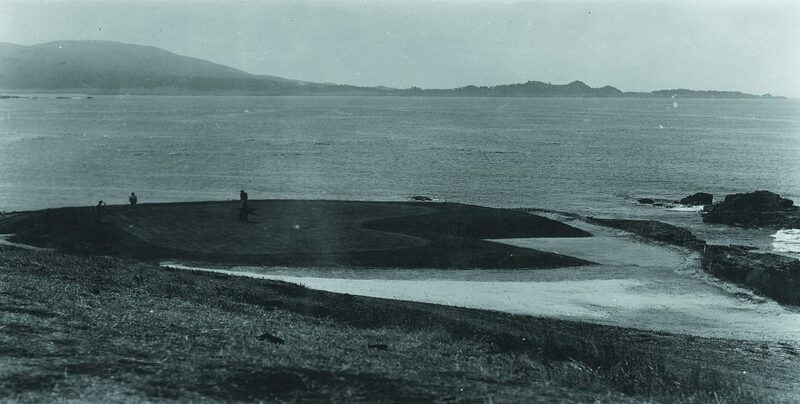 Five years after Pebble Beach Golf Links opened in 1924, the 7th green was relatively massive. 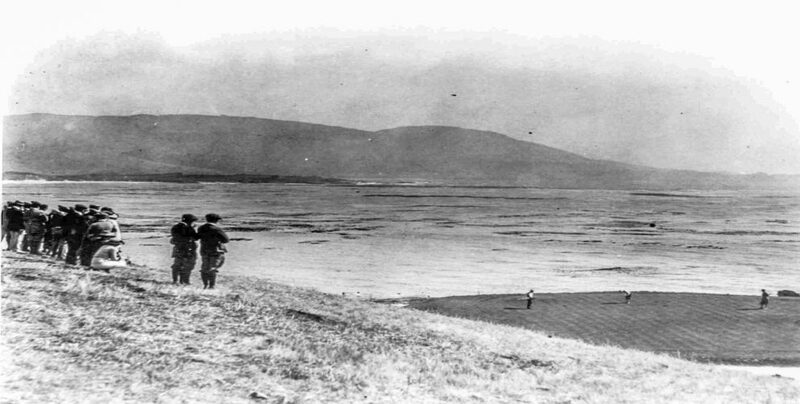 This shot captures play during the 1925 California State Amateur. One large bunker wraps around a slimmed-down L-shaped green. 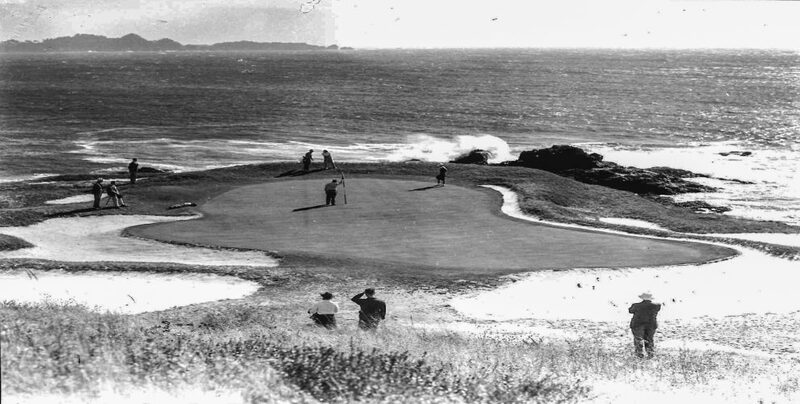 By the 1940 U.S. Women’s Amateur, the wavy and gyrating green was surrounded by manicured bunkers. 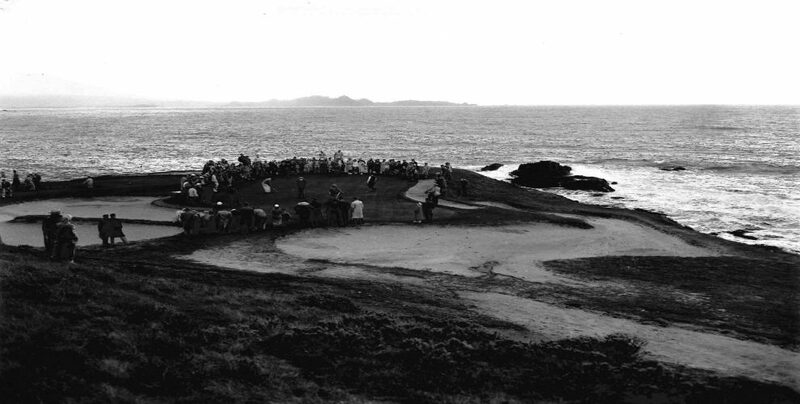 The gallery crowds the 7th green during the 1952 Bing Crosby National Pro-Am. 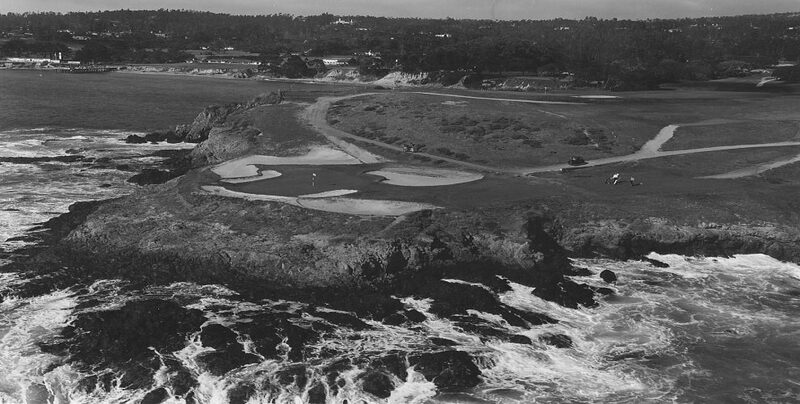 An aerial in 1963 shows more bunker movement, as well as some wear from the recently invented golf cart. 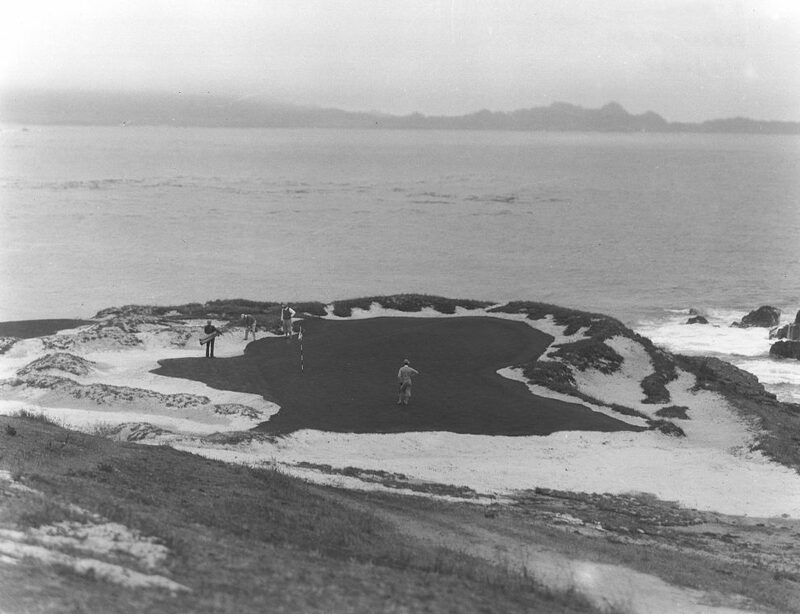 A view of the intimidating 7th green in 1965. 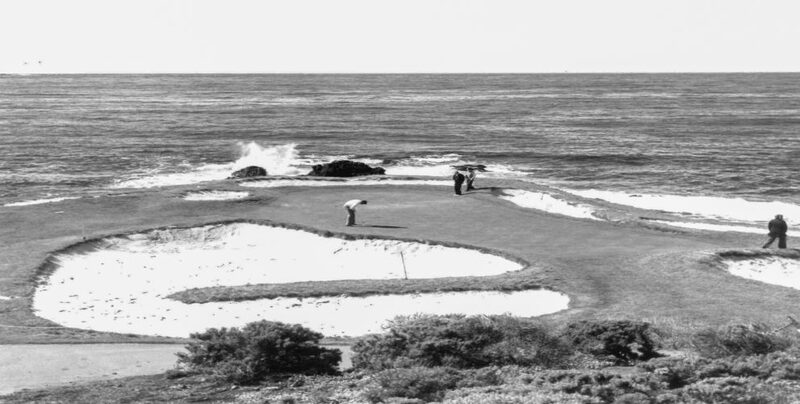 The bunkers had a steep and rugged look in 1977, the year Pebble Beach hosted the PGA Championship. 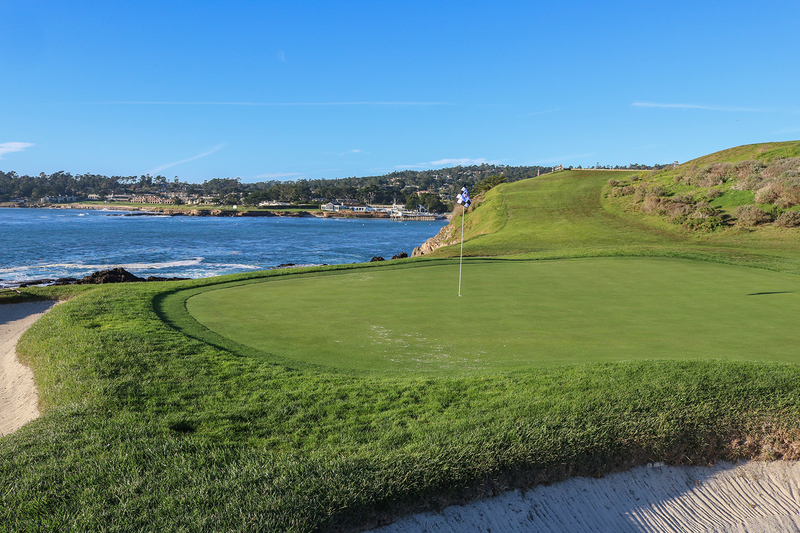 Ahead of the 1992 U.S. Open, the seventh green was rebuilt under the guidance of Pebble Beach Company Vice President Paul Spengler and Jack Nicklaus. Both happened to play at the 1961 U.S. 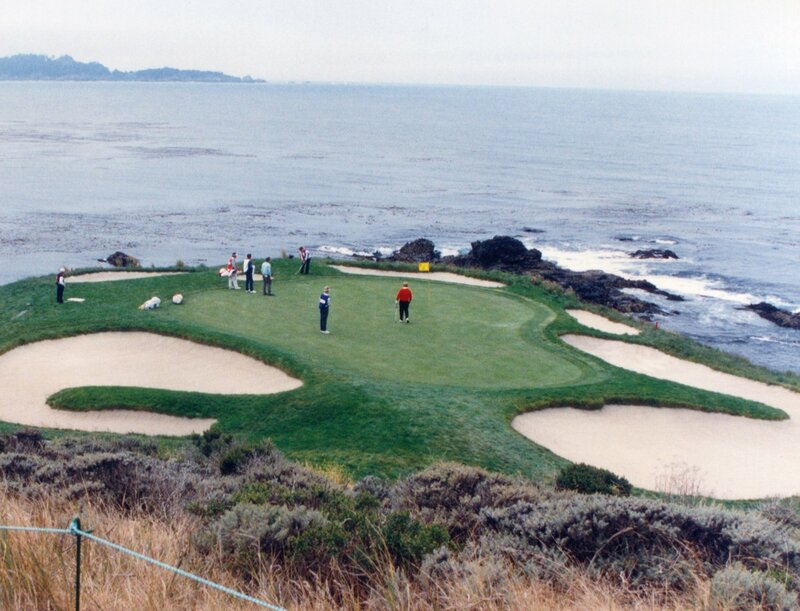 Amateur at Pebble Beach, which was won by Nicklaus. How it looks today…and still 106 yards. Everything from mashies and lob wedges to 3-irons and putters have been hit here. What have you hit into the seventh hole?